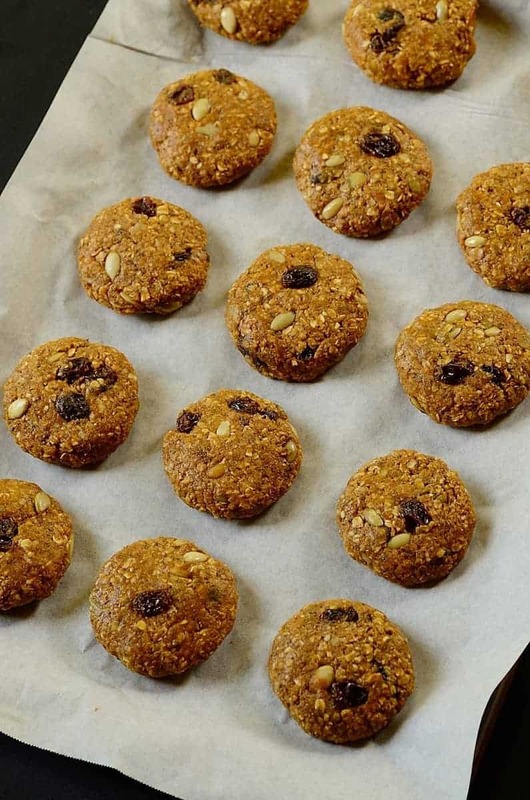 They are full of lots of good stuff: fiber, protein, monounsaturated fats, and can be sugar-free. 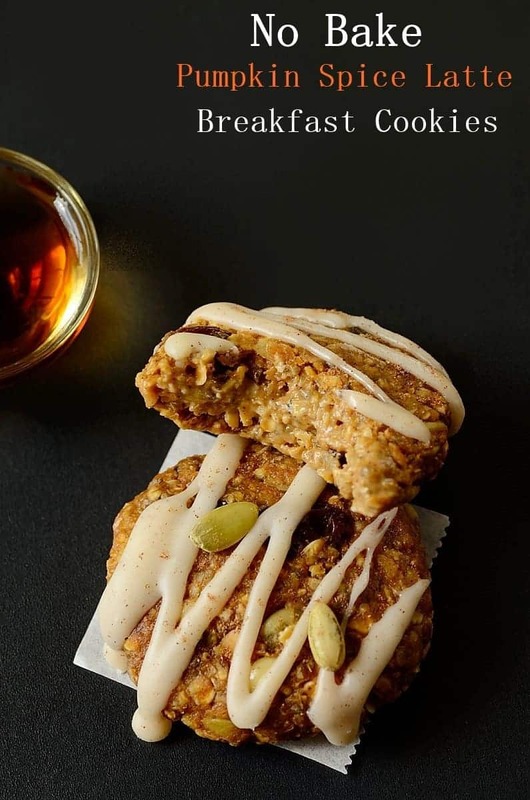 They are basically made from canned pumpkin, oats, pumpkin spice, instant coffee, milk, raisins, sugar-free syrup or honey, pepitas, chia seeds, and peanut butter. 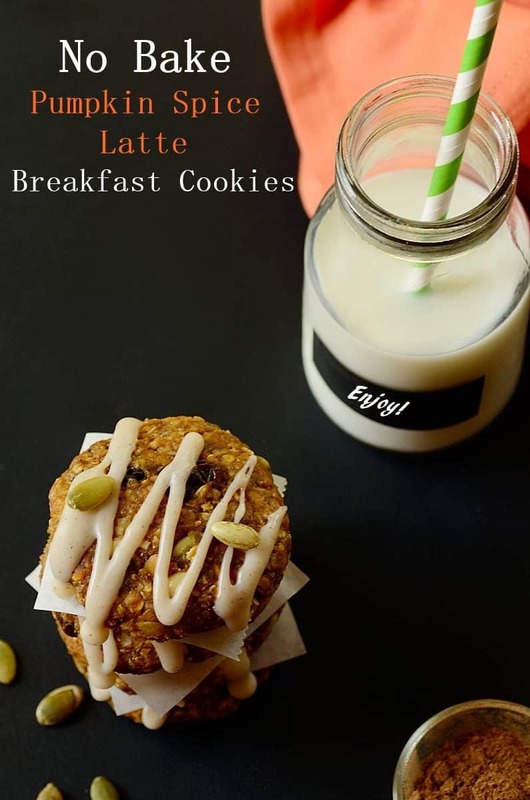 They are egg-free and can be gluten-free if you use GF oats as well as dairy-free if milk without lactose is used. Another advantage is that they require NO BAKING! 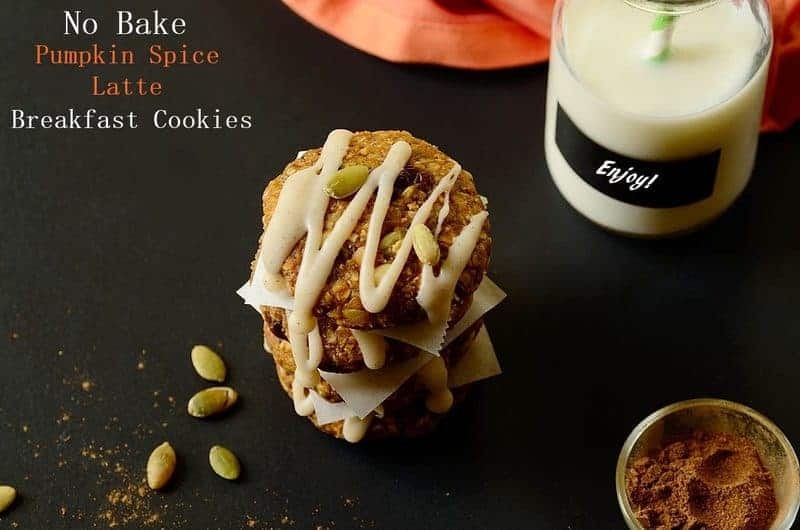 All that is needed is to mix all the ingredients together, shape into cookies, and refrigerate on a large baking sheet for about 20-30 minutes. If desired, you can also drizzle on a bit of melted white chocolate chips mixed with a dash of pumpkin spice. Yumm!!! Let’s keep ourselves healthy and satisfied the whole fall long! 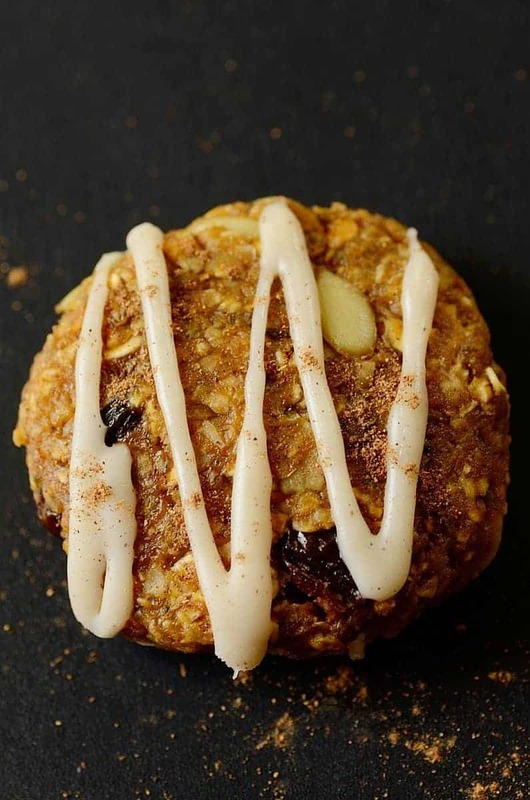 These no bake pumpkin spice latte breakfast cookies are healthy and require no baking! They are quick, easy, and delicious, taking less than 15 minutes to whip up. 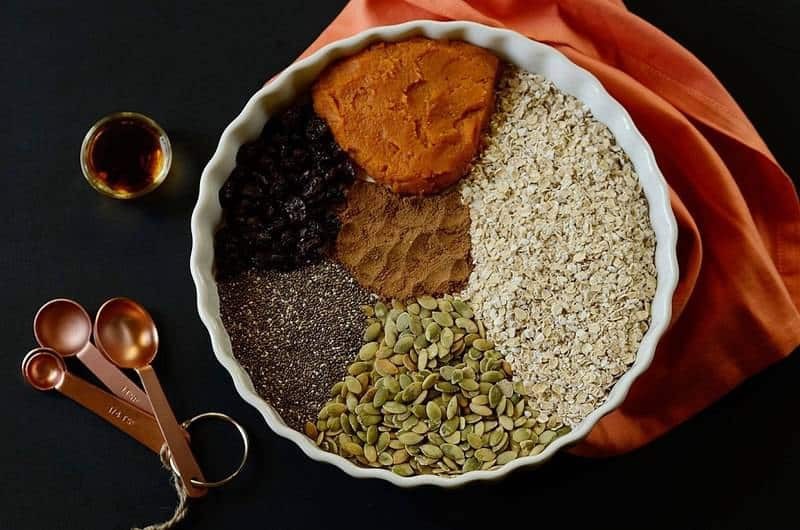 In a large mixing bowl, combine the canned pumpkin, oats, salt, pepitas, raisins, and chia seeds. Set mixture aside. In a microwave safe bowl, combine the peanut butter, syrup, pumpkin spice, milk, and coffee together; then heat mixture in the microwave for about 90 seconds or until peanut has melted. Stir well until obtaining a homogeneous mixture. Pour into the pumpkin-oat mixture and mix until fully combined. Scoop about 2 Tablespoons of the cookie mixture, form into a golf sized ball, and place on lined baking sheet. Press firmly into a cookie shape. Repeat process to form other cookies. Refrigerate for 20-30 minutes or until firm. 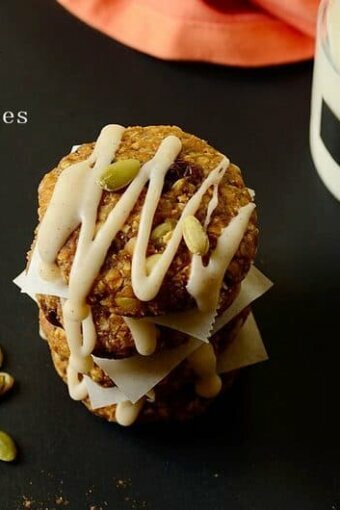 If desired, drizzle cookies with a mixture of melted white chocolate chips and a dash of pumpkin spice. Cookies can be frozen -- as well kept at room temperature in airtight container or Ziploc bag. 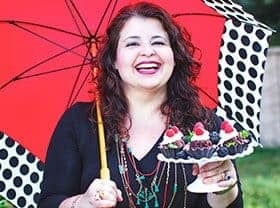 I LOVE no-bake cookies. Totally bookmarked this–talk about something to rival the popularity of the Starbucks Pumpkin Spice Latte 😉 thanks for sharing, Denise! 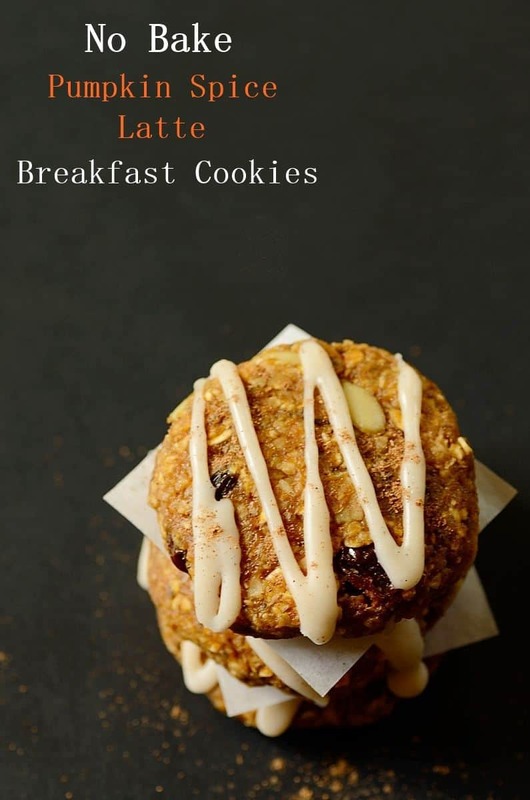 Cookies for breakfast sound like the best plan! And yes, any leftovers would make a wonderful afternoon snack. And yes to all the pumpkin spice, especially the home made kind! Cookies for breakfast? I’m in! And no-bake cookies are the best. Particularly when they have loads of flavor, as these do. Really good — thanks.